As mentioned in the EBMA blog article of the 6th March regarding the EBMA AGM, Angelika Torrie, Rienk Janssen, Petr Brandejs and Christopher Howard-Williams announced their decision to step back from the EBMA Board subsequently, Dagfinn Pederson also announced his resignation at short notice. 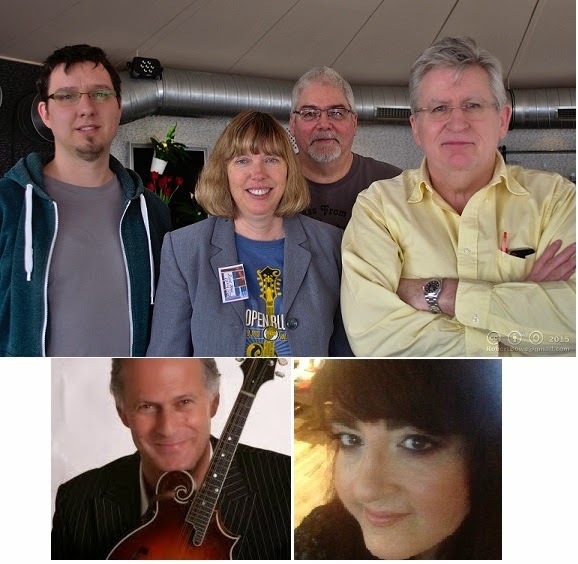 Following the Board Meeting and the EBMA AGM held during the Munich Bluegrass Festival three new board members were elected. Richard Ciferský from Slovakia is an established professional musician having recorded with his own bands (Bill Faster and Fragment) as well as with recording and touring with US artists (see Richard's website) and is the owner of Radio Velvet - Europe's first 24 hour internet Bluegrass radio station (website). Stu Vincent has been involved with the EBMA since mid-2014 as part of the EBMA Blog Team writing and editing articles and also hosts two weekly internet Bluegrass radio shows - one for The Bluegrass Mix based in the US and the other on Radio Velvet. Eugene O'Brien is an Irish-born banjo player known around the European festivals as a member of Sons of Navarone. Eugene is also a member of the British Bluegrass Music Association board and has been elected to be the Chair of the newly constituted EBMA Board. Susie Bowe, Martino Coppo and Chris Keenan were existing Board members who will continue to serve on the Board. It should also be mentioned that retiring members Angelika Torrie, Petr Brandesj and Rienk Janssen will continue to take a supporting role to the new Board and the EBMA (assistance which has been gratefully accepted); Angelika will remain as Chief Editor for the Bluegrass Europe magazine, Petr will continue to support with the EBMA scholarships programme and Rienk will continue to manage the membership administration. The new EBMA held their first Board meeting on Monday 23rd March. All recognised the work that had been done by the previous Board which resulted in the EBMA receiving a Distinguished Achievement Award at last year's IBMA World of Bluegrass. From the agenda items which were submitted for the first board meeting it seems that EBMA will have a very busy year ahead! (As mentioned before) Eugene O'Brien elected to Chair the EBMA. 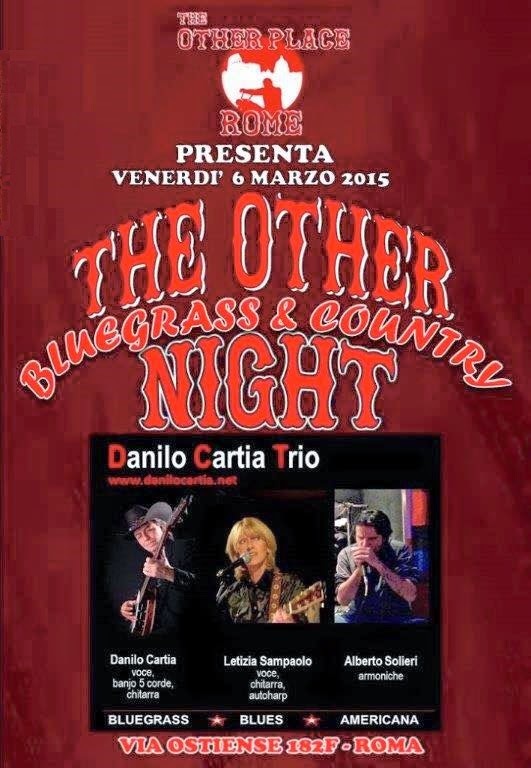 To build closer relationships with the national Bluegrass Music Associations within Europe. To look at EBMA membership from the perspective of performing musicians and Bluegrass fans and how EBMA can best support and reward membership. To review the presentation of the EBMA through its website and other social media. To ensure that the current EBMA processes which support Bluegrass music are maintained and, where possible, developed. To look to set a date for the 2016 EBMA Bluegrass Gathering and develop an informative, supportive and entertaining programme. 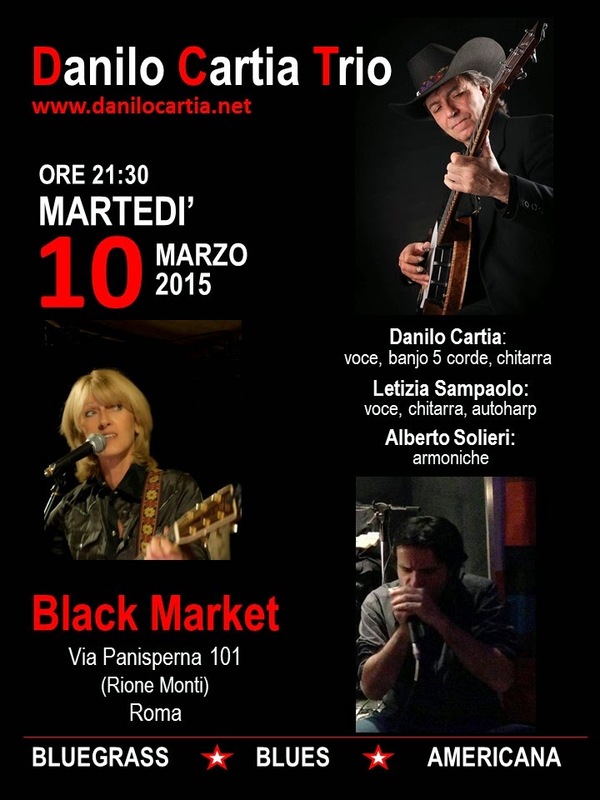 2015 is going to be an exciting year for the EBMA and Bluegrass music in Europe . The Festival was held in Das Schloss, just north of Munich's city centre. From the outside, Das Schloss looks like a circus tent but inside is a very well-equipped auditorium with a central lobby and a separate conservatory-like room which served as a coffee bar, restaurant and - most importantly - a place to jam. The EBMA Bluegrass Pioneers and Personalities Awards were presented during the Saturday night sets by bands from Germany and the Czech Republic - including a set by GeorgiaRina & The Loose Screws who are a young band who have been supported by Bluegrass-Nachwuchs-Förderung (or BNF) which supports promising, young musicians with tuition and other costs. 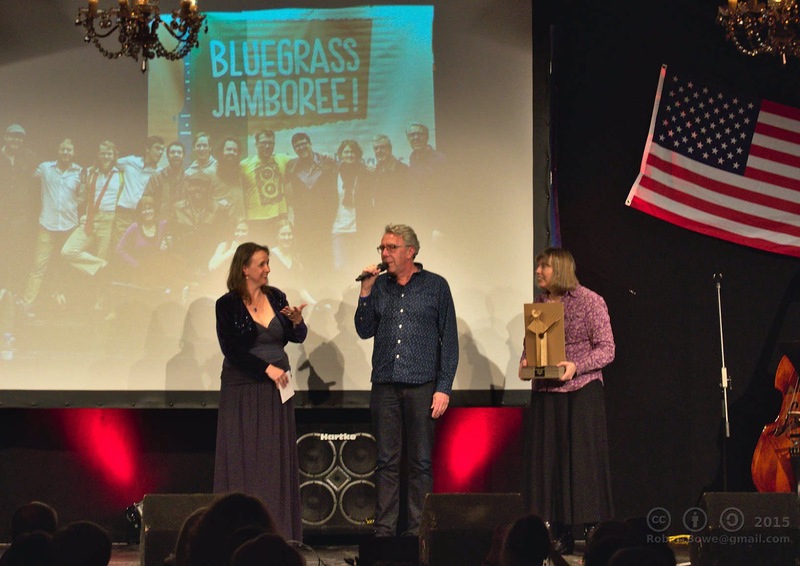 2015 European Bluegrass Personality of the Year was awarded to RAINER ZELLNER (Germany). Jean-Marie Redon started playing Bluegrass in the mid-1960's and has not stopped since! 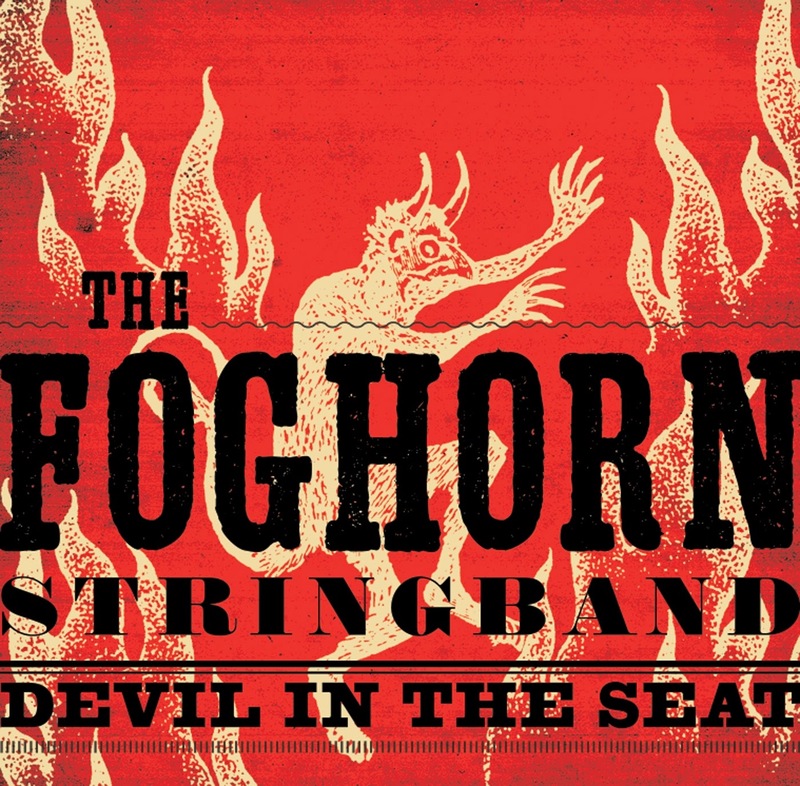 So far, his Bluegrass career has included playing in several bands, writing and producing instructional books and DVDs, regular performances on both sides of the Atlantic and winning a SPBGMA Award in 1998. Jean-Marie was unable to attend the presentation so his award was accepted on his behalf by Jean-Michel Peyrou. Since 1975, Richard Weize - the founder of Bear Family Records - has enabled fans and collectors to obtain copies of rare and, otherwise unavailable, vintage recordings through his company Bear Family Records. Dalibor Cidlinsky has brought Bluegrass music to fans in the Czech Republic and beyond for many years but the manner of his acceptance of his award may be as memorable as his musical career. Dalibor came onto the stage with guitar-case in hand and, after being introduced to the audience, threw open the case, grabbed his guitar and (from the experssions of the hosts Angelike Torrie and Susie Bowe) undertook and un-rehearsed, un-announced and un-mic'd rendition of Shady Grove in his native tongue. It was a commanding performance that was much appreciated by the audience. 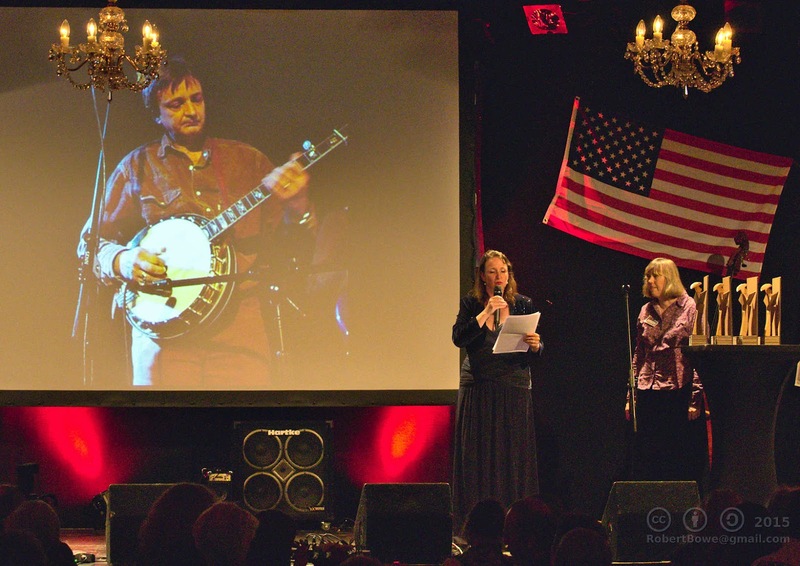 The final award of the evening was the European Bluegrass Personality of the Year which was awarded to Rainer Zellner. 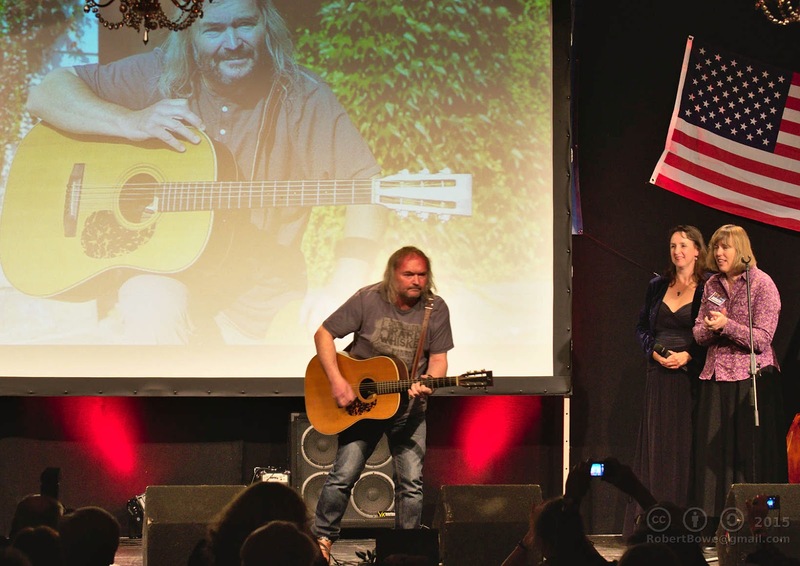 Rainer has been involved in promoting Bluegrass in his native Germany and other European countries since the early 90's and through his Bluegrass Jamboree has sought to introduce Bluegrass music to Americana and Country music fans through his multi-genre shows. From the volume of the applause, the recipients of the EBMA awards were very popular choices. Lastly, the organisers of the Munich Bluegrass Festival are also to be applauded for an efficiently run festival in a very smart venue. All facilities were exceptional as were the in-house sound & stage crew. 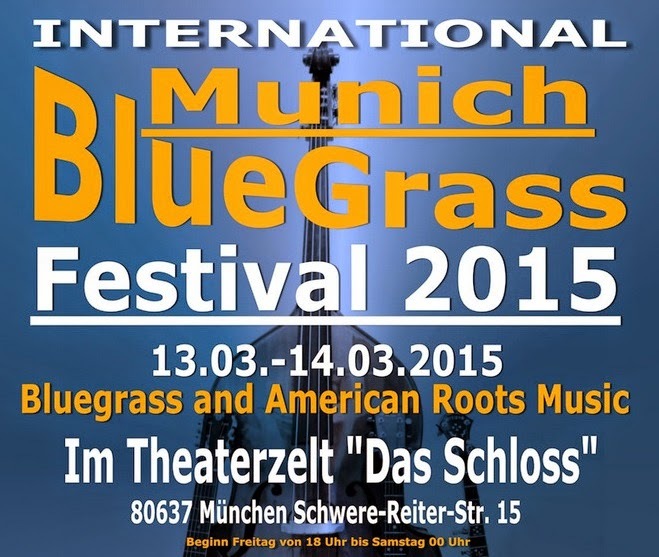 The Award ceremony will take place during the Munich Bluegrass Festival next Saturday evening, 14th March 2015. Make sure to be there and show the awardees present your appreciation. 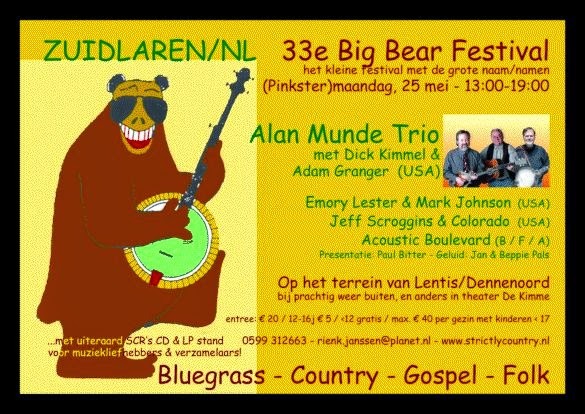 It's not too late to join us for our 2015 European Bluegrass Gathering, which will take place in the same venue as the Festival on Friday 5pm - Sunday 2pm. You can also join in for a part of the gathering only - see our programme. In particular some might be interested in the Banjo-Workshop by Richard Cifersky, or the session with Kent Gustavsson (author of book on Doc Watson book "Blind but Now I See"). The EBMA Board formed a special Selecting Committee comprising Paolo Dettwiler, Eberhard Finke, Christian Séguret, Jacques Brémond, Petr Kuklik, and Thierry Schoysman, with Martino Coppo as non-voting chairman. Arthur St Clair Robinson, one of British bluegrass music’s true high-lonesome vocalists, passed away on Friday, March 6, 2015. He suffered a seizure at the beginning of February and was hospitalized for a while before being moved to St. Catherine’s Hospice in Scarborough, Yorkshire, where he lived in later life. He had battled against the ravages of Multiple Sclerosis (MS) for about 25 years. His first encounter with bluegrass music was when he went to a concert in Middlesbrough to see Bob Paisley and the Southern Grass. He said in an interview with me in February 2010, “I was knocked out by the performance of these American visitors, and can remember saying to myself I want to sing like Dan Paisley! Since then I have strived to sing and be as authentic as possible to my chosen artists.” Those influential bands included the Stanley Brothers, Larry Sparks, The Johnson Mountain Boys, Laurie Lewis, Special Consensus and the Bluegrass Patriots. Robinson earned his living as a fire chief in Redcar, a small coastal town in the north east of England close to Middlesbrough. He made his musical baptism on stages – small sets in local pubs – in Redcar. Later he formed a band called King Arthur and the Knights of Bluegrass and they made many very successful appearances at the Edale Bluegrass Festival, the North Wales Bluegrass Festival and elsewhere. In 1989 MS was diagnosed and in the following year he began a friendship with Czechoslovakia (as it was then) bringing Czech bands to tour in the UK; he visited the country many times and began dealing in mandolins with Czech musicians and instrument makers. The mandolin was his chosen instrument to play. In 1993 Robinson recorded with the Czech band Cop. From 2000 onwards he built up a business making and selling tortoiseshell thumb and flat picks. He found a therapeutic benefit in working on the picks as it helped him maintain the use of his hands. Sadly, he had to stop that about 2010. 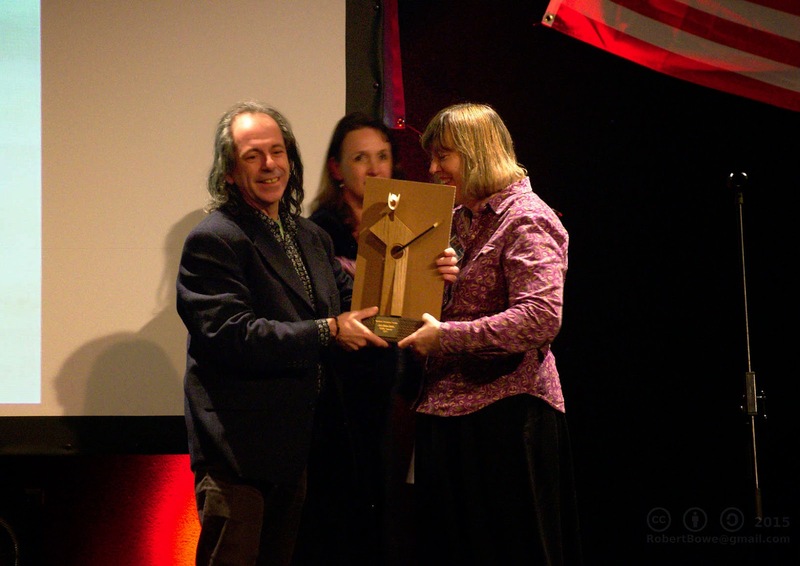 In 2006 Robinson was presented with a life time associate membership of the British Bluegrass Music Association. 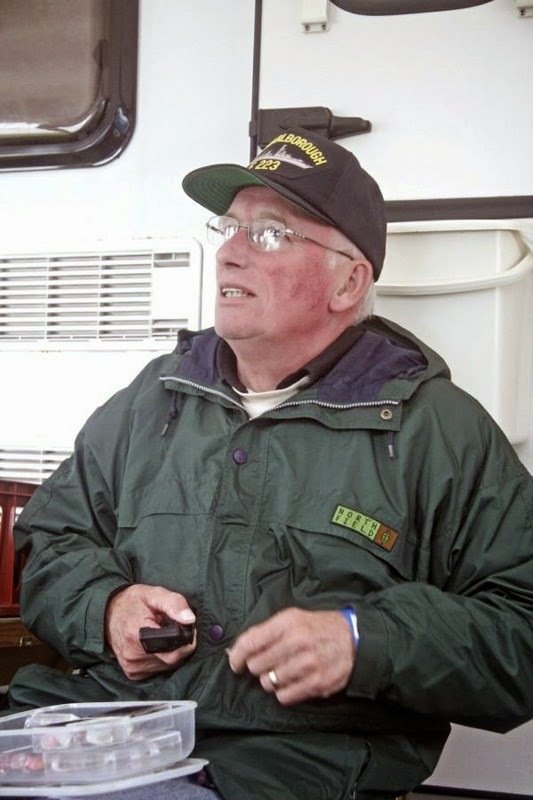 Of his MS, he told me defiantly in 2010, “I still can sing and enjoy the music and I won’t give up trying to play the mandolin.” He was naturally a warm individual, with a wide smile. He helped young musicians attend the Sore Fingers Summer Schools. 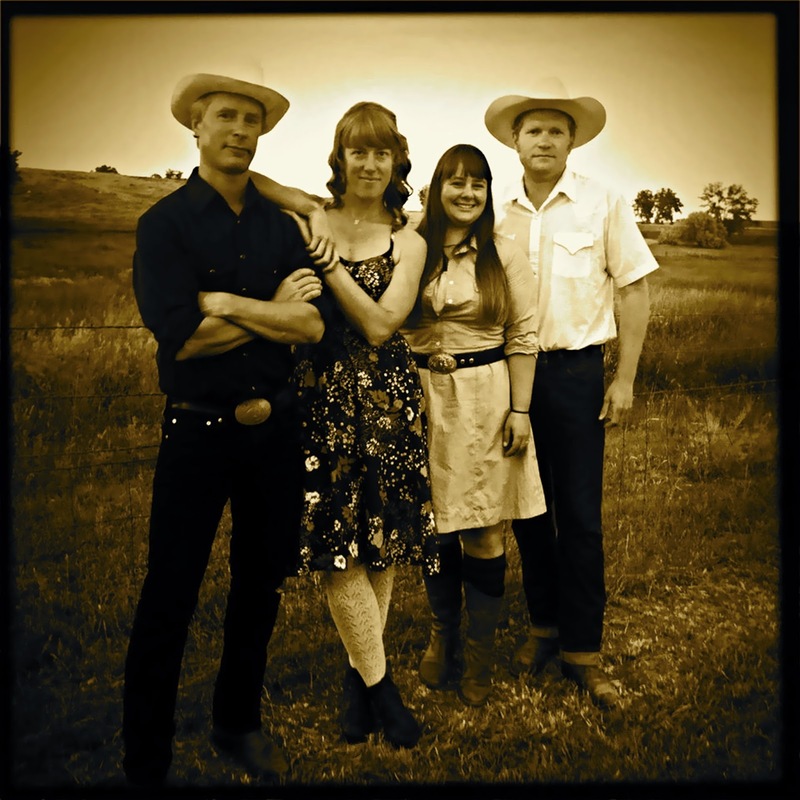 British bluegrass pioneer Tom Travis once related …. Robinson’s funeral will be held at Scarborough Crematorium on Friday, March 13, at 2:40 p.m., and all are welcome. There will be a gathering afterwards at Scarborough Rugby Club. Musicians are more than welcome to bring their instruments. This obituary was originally published on Bluegrass Today and was written (and is reproduced with the kind permission of) Richard F. Thompson. 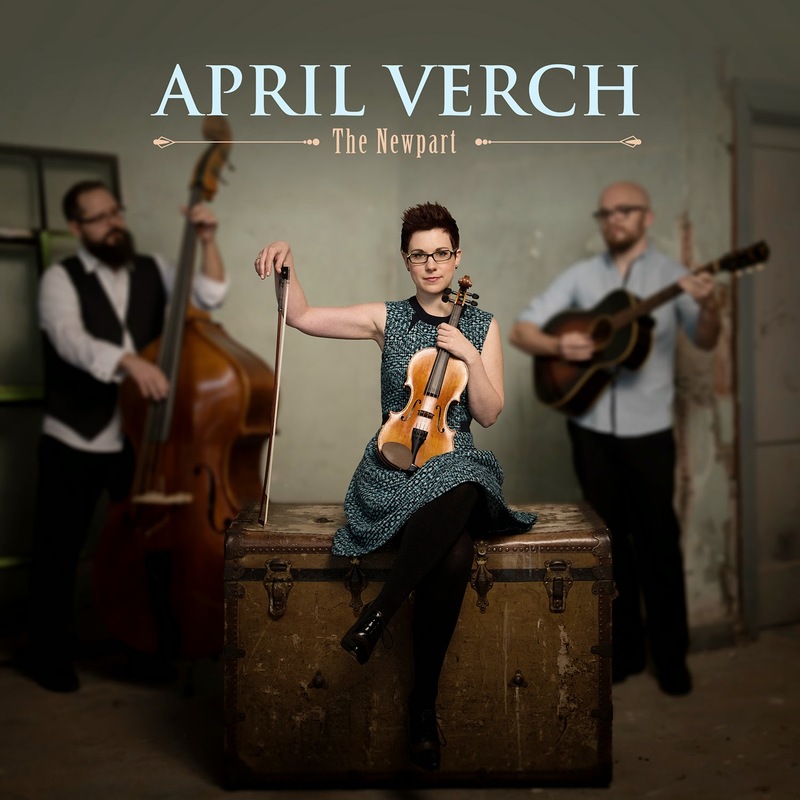 Two weeks ago the 'Counting The Days' article was written about the European Bluegrass Gathering and the Munich Bluegrass Festival... it is now just one week away! Take a look at the original article - particularly if you are unfamiliar with the many ways to enjoy your Weisswurst! While any Bluegrass gathering is guaranteed to be joyful - how could it be anything other than joyful with such fine music? - the EBMA Annual General Meeting (which is open to all members and interested friends) will also be an opportunity to show your appreciation to the four Board members who will be standing down from their positions. 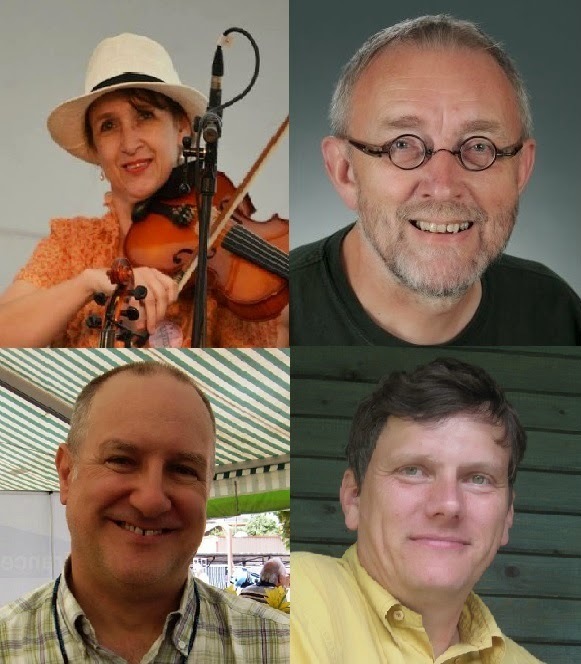 Angelika Torrie, Rienk Janssen, Petr Brandejs and Christopher Howard-Williams have given many years of service to European Bluegrass Music and to the EBMA - culminating in the EBMA being awarded the IBMA Distinguished Achievement Award at IBMA's World of Bluegrass last September. 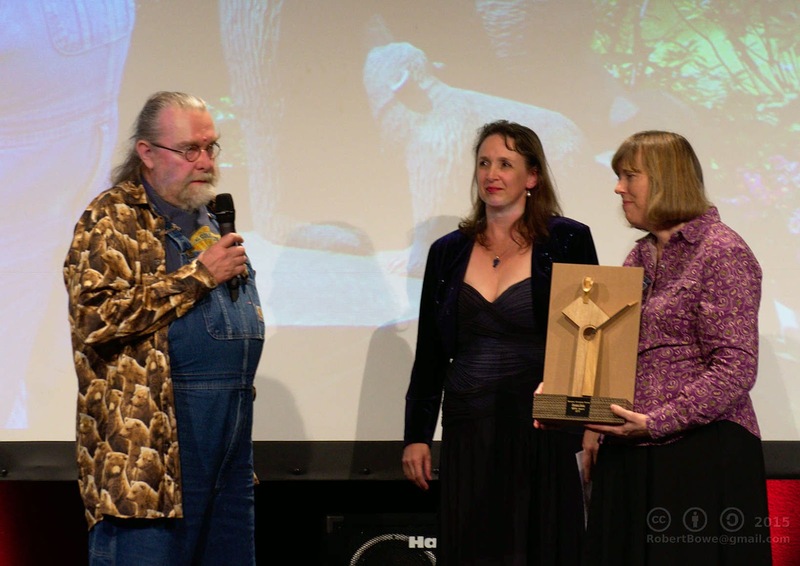 Through the Distinguished Achievement Award, the EBMA has been given recognition for it's work and the profile of European Bluegrass has been raised as a result. Thank you to all members of the EBMA but a particular Thank You to Angelika, Rienk, Petr and Christopher for all that you have done. Of course, this will now give the new Board members a lofty standard to maintain but part of the AGM agenda is looking at the EBMA goals for 2015 and beyond so please attend, show your appreciation and share your views on European Bluegrass. 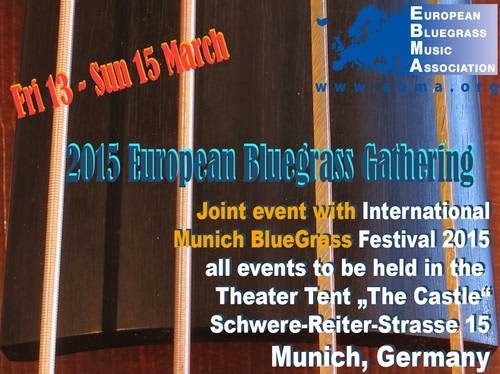 The full programme for the European Bluegrass Gathering can be found on the EBMA website. But let's not forget the music! 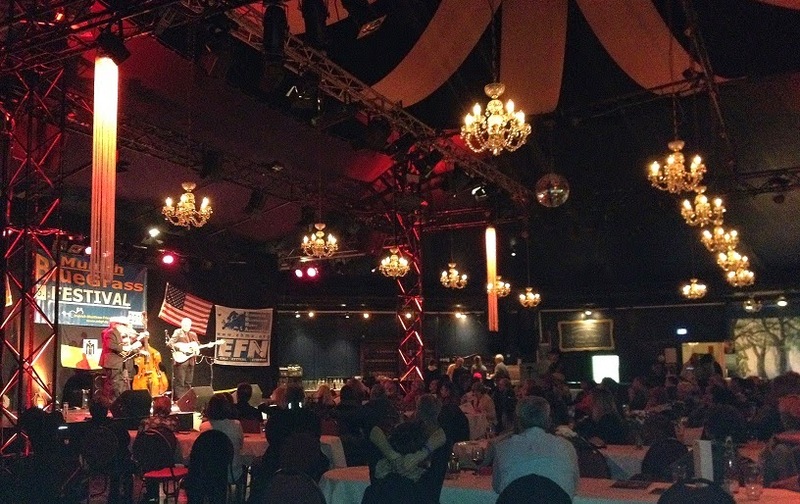 The Munich Bluegrass festival will have workshops, performances and (of course) there will be jamming - wherever Bluegrass folk gather, there will be jamming. There will be workshops by Richard Cifersky (banjo) and Kent Gustavsson (Doc Watson-style guitar) - registration for the workshops can take place from 17:00 on Friday 13th March. Performances will include Sons of Navarone (Belgium), Blue Side of Town (Germany), Black Jack (Czech Republic) and B471 (see the video below). See you in Munich!